The roads are buzzing, the birds are chirping and the ice is still in on several lakes. Snow is still heavy in some areas of our farm where the sun hasn’t touched yet. We are all eagerly waiting to get into the boat access cottages but mother nature is holding onto her winter season a bit longer this year. Lots of activity with opinions of value and listings hitting the market which is nice to see and everyone is gearing up for what we hope to be a busy season. Looking forward to seeing some familiar faces as people make their ways up to their cottages to open them for another season. 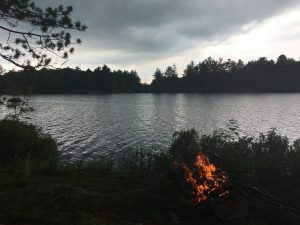 Today I made it back to beautiful Long Lake after a few years away. Sometimes we can get to busy to even see all the amazing places in our own backyard. I can honestly say I don’t think much has changed since I was a kid. 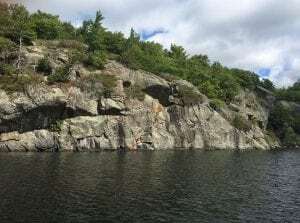 This beautiful lake has so many granite outcroppings and a rich history. The cottages are still true cottages, passed from generation to generation there is a real sense of nature on this lake. Cottages do not come up for sale very often but when they do, they are snatched up quite quickly – if the price is right. I absolutely love this area that I live and work in. Being able to take a boat ride up this lake this morning really brought back a lot of memories for me. If you love to canoe or kayak you can really take in the sites at a slow pace, you won’t see another place on earth quite like it. 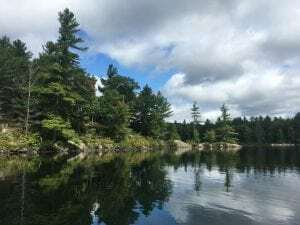 Even tho many of the lakes are similar given the fact that we are on the Canadian Shield they are all unique in their own way. 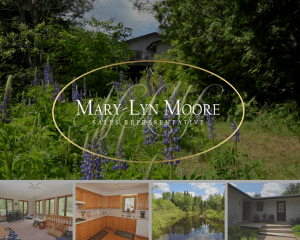 Beautiful spot on Eels Creek in Apsley – Once was a beautiful B&B on the creek this property has many trees, perennials and privacy you are looking for. 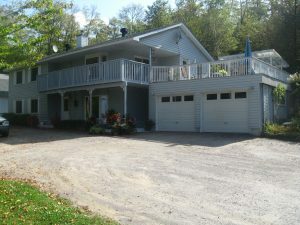 Located in the heart of North Kawartha this beautiful walkout bungalow has so much potential. Large bedrooms, bathrooms and potential for rental. Updated in the last couple years is a new propane furnace, drilled well & Appliances. Come check out 9869 Hwy 28, you will be pleasantly surprised by all the space. 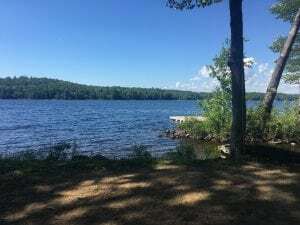 These are just some of the beautiful views that are out there in the market this summer. 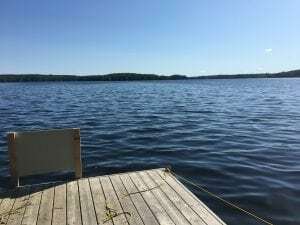 Looking to purchase a cottage in prime cottage country, thinking of an investment property or a getaway. 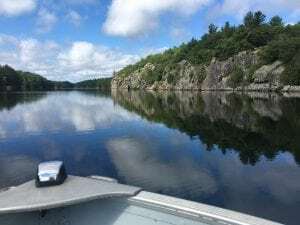 The Kawarthas and the Highlands offer some of the most beautiful shorelines in the area. Take a look below and enjoy the view, this could be your view with your morning coffee or glass of wine. Fall market is around the corner and it always brings in some more listings to see, be ready to make your move if something pops up that you fall in love with and when your ready, It will be my pleasure to show you around this area. One of the best views of Paudash Lake without the taxes! Enjoy beautiful Sunsets sitting on your rooftop patio sipping a cool beverage. Enjoying the privacy that crown land has to offer on two sides. 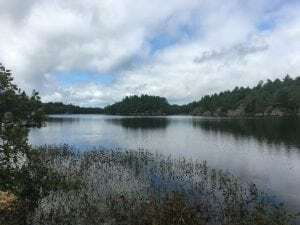 Thinking of a sunset cruise, crown land directly across from this property allows that access. This property is perfect for the outdoor enthusiast with snowmobile, ATV & walking trails at your fingertips! Not into that sort of thing, that’s okay too, a good book cozied up to the airtight woodstove in the basement creates a soothing ambiance while lower heating costs. 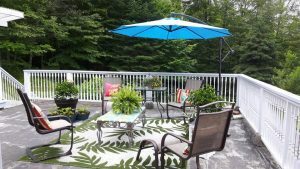 Sit and enjoy the warm sun on your deck or patio with friends & family. One of the best he/she caves around with a 26×36 heated shop and a bright, beautifully finished loft. The possibilities are endless for this well maintained, spacious Guildcrest home with attached 2 car garage. Updated Roof, high-efficiency propane furnace & hot water tank on 1.45 acres. Come See!! Welcome to the 2018 Spring Cottage Life Show, what a great couple of days I was able to spend down there, seeing some familiar faces, meeting some new ones and hearing what people are looking for. We have some great listings but also some particular buyers so if you are thinking of selling and taking advantage of what seems to be a sellers market right now, please don’t hesitate to call me. I would be happy to meet with you and go over your options as well as give you a FREE comparative market analysis of your home or cottage. The market is picking up in our area and that’s for both residential and recreational. We are seeing some new listings which is great, and things are gearing up for spring. 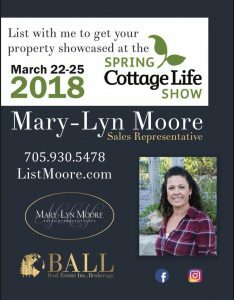 Well, it is that time of year again, we are getting ready to go into the Spring market and what better way to get your properties promoted than at the Spring Cottage Life Show 2018. Thousands of people will be there and we can talk individually with people looking for cottages in our specific area. Want to get in on the action, shoot me a text, email or call for your free opinion of value. I will walk you through the entire listing process, what you can expect, how I will market your property and what our brokerage brings to the table to stand out from the competition. I have over 100 years of experience in waterfront properties at my fingertips and I have grown up and played in this beautiful big backyard of a township. 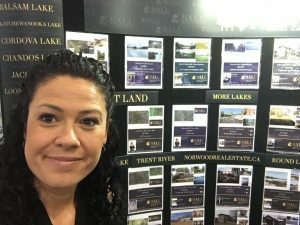 I know the lakes, I know the people and I love this area, who better to market your property than someone who knows it and is passionate about selling it! Building Achievable Luxury Lifestyleit’sts, not just a motto it is a way of life. We have offices located in Apsley, Lakefield, Norwood, and Peterborough. Come check us out! You can follow me on social media @ListMoore on Twitter, Instagram, and Facebook @ListMooreSellMoore. 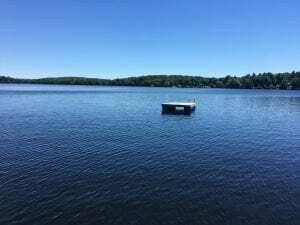 Your property can be marketed on several social media platforms, the cottage life magazine as well as the Cottag Life Show 2018. Dont wait, lets get started on the next chapter of your life. IS Spring around the corner?? Looking at the picture to my left right which was taken just a few weeks ago it is hard to believe we are in January still. We have had some serious spring-like weather the last few days. Going from -47 with the wind chill to plus 9 and dropping back down again. I am sure I am not the only one with sore joints! Currently, we are sitting a bit above freezing which is absolutely blowing my mind and we had a good blast of freezing rain last night and this morning. I am sure the snowmobilers are not happy with this thaw we have had and I don’t blame them! 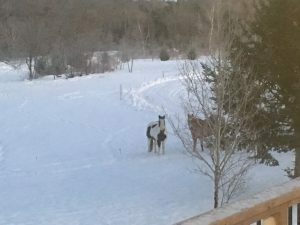 Not sure my horses are either, the barnyard is a bit of an ice rink. Ball Real Estate will be there and ready to answer any of your questions. What a season, phew! So many buyers so little on the market for sale. If you are looking at getting in on the fall market while you have a chance give me a call. I would be happy to give you a free opinion of value on your home or cottage. 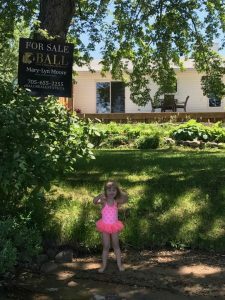 Everyone wants the unicorn listing… you know the one that has prime 3 bed/2 bath water-front, level lot, 4 seasons, drilled well, septic, year round access on a good sized lake that is move in ready and little to no renovations… oh and private?? Well, there are some of those out there for sure, but you may have to expand your horizons and your budget. You may have to re-visit your list again, start ticking of the really important features and go from there, really get down to the nitty gritty. Maybe some renovation’s are alright? Maybe you could have a slope or steps to the water? Maybe even 1 bath?. Received this adorable photo from a client, and wanted to put a saying with it or something. Anway I put it out on social meda to see who could come up with the best slogan for this picture and please to announce the winner was Kelli Lackey with “Big or Small Everyone Loves Ball” and I thought, thats it!